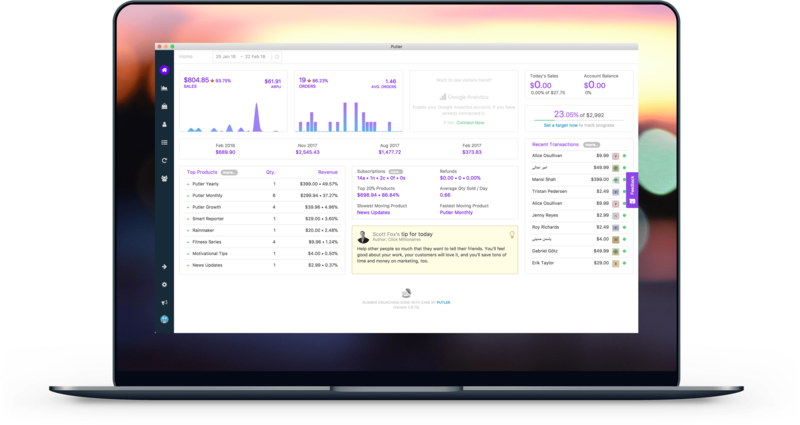 All the powerful e-commerce analytics now on your desktop! Note: If you are using the old Putler desktop, rename the old Putler app to “Putler AIR” before installing the new app. 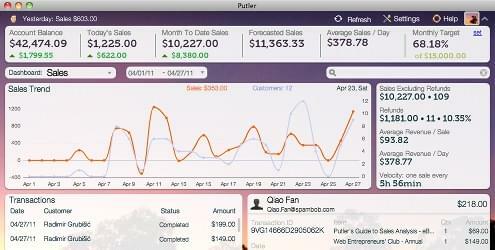 Download Putler for Mac. In your Downloads folder, double-click the Putler.dmg file to reveal the Putler app icon. Drag and drop the Putler app icon over to your Applications folder. Wait a while for it to finish. Go to your Applications folder, double click on Putler icon to launch. It may take a few seconds to “validate” the app on first run. Note: You need a steady internet connection to use the app. Go to your desktop and double click the newly added Putler app icon. Note: You need a steady internet connection to use the app. If you want Putler to open automatically every time you login – Right click / Command click Putler icon in the dock, and turn on “Open at Login” under Options. Using the old AIR based Putler desktop app? Rename the old Putler app to “Putler AIR” before installing the new app.. This way you can use both apps side by side. If you want, you can download the latest version of old, AIR based, Putler desktop app here. The old app will be retired by end of May 2018. So do switch to the new app by then!